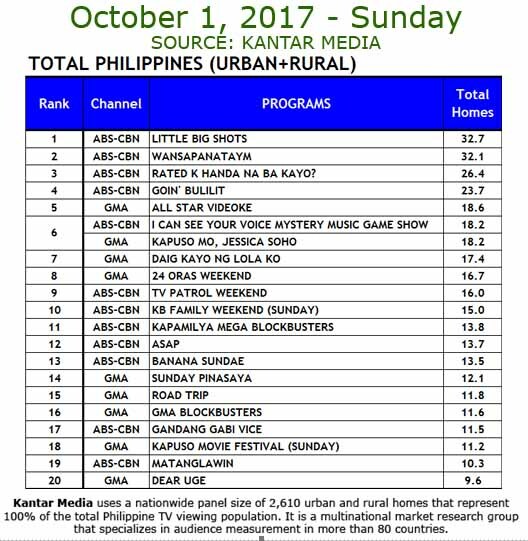 Rated K’s Xander Ford reveal episode outperformed its rival program Kapuso Mo, Jessica Soho in national TV ratings on Sunday, October 1, 2017. According Kantar Media, Rated K’s feature on the transformation of online personality Marlou Arizala into Xander Ford scored a national TV rating of 26.4 percent versus Kapuso Mo, Jessica Soho with 18.2 percent. Below is the data from Kantar Media. Aside from viewership win, Xander Ford also shoots to trending topics on Twitter worldwide. More than 100,000 tweets were generated hours after Xander Ford’s new look made its first appearance on TV. Facebook news feeds is also flooded with Xander Ford related conversations. How Much does Xander Ford’s Cosmetic Surgery Cost? Meanwhile, Xander Ford is set to return on TV screen in the coming weeks. He is schedule to return on ABS-CBN sitcom “Home Sweetie Home” starring John Lloyd Cruz and Toni Gonzaga.